Are Super Rigs The Driver Behind The New Shale Boom? 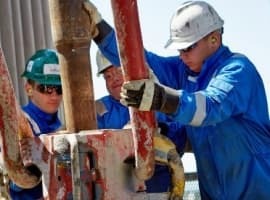 Cost cuts and efficiency—the two key ingredients of the U.S. shale’s recipe for surviving the worst of the downturn—have led to drillers now employing a growing number of rigs capable of reducing the time needed for drilling a well and for moving from one area to another. 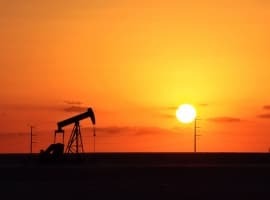 The U.S. shale patch has been increasingly using the so-called super-spec rigs, a more advanced type of drilling machine, since the shale resurgence began at the end of last year, helped—inadvertently—by OPEC’s production cut deal that pushed oil to a more stable, around-US$50, price. 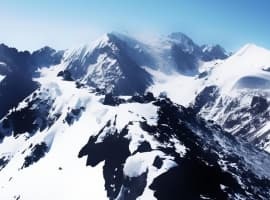 The market was particularly unimpressed with OPEC extending the output cuts into March next year, while U.S. shale continues to increase production by the week, having found ways to get more bang for the buck and be profitable at a US$50 oil price. “OPEC’s market influence is highly questionable,” Antoine Halff, director of global oil markets at Columbia University’s Center on Global Energy Policy, tells Houston Chronicle’s Collin Eaton. While OPEC is trying to ‘fix’ the price of oil and the level of global inventories and assert its influence on the market, the number of active oil and gas rigs in the United States rose for the nineteenth straight week as of the last count on May 26. Combined, the total oil and gas rig count in the US stands at 908 rigs, or 504 above the count a year ago. Tulsa-based Helmerich & Payne, for example, said in its latest results release that its U.S. land operations’ contracted rig count increased by 41 rigs from December 31, 2016 to March 31, 2017, to stand at 177 rigs. Helmerich & Payne has just bought Motive Drilling Technologies in a push toward automation, and possibly, autonomy. He might be just right. Earlier this week, Rystad Energy said that it now expects U.S. oil production growing “so fast that an all-time high of 10 million barrels per day could be reached before December 31st this year.” Rystad sees U.S. output rising at a rate of 95,000 bpd per month this year, driven by shale drilling, while more modest growth from the Gulf of Mexico’s deepwater would be offsetting declines in other conventional fields. The EIA currently expects U.S. crude oil production to average 9.3 million bpd in 2017 and almost 10.0 million bpd in 2018. After this week’s release of the March output, 9.1 million bpd, Rystad Energy believes that the EIA will again revise up its U.S. production outlook. “US oil production has grown faster at $50 USD than any analysts in the market predicted. As these numbers are getting confirmed, the initial optimism about OPEC’s temporary cuts, may turn to increasing skepticism about OPEC’s choice of policy once the current output deal expires next year,” Bjørnar Tonhaugen, VP Oil Markets at Rystad Energy, said. The U.S. shale patch—helped by technological breakthroughs, leaner operations, and meaner cost attitude—is currently showing OPEC and the oil market that it’s the new swing oil producer. Surprised how few have caught on that the big cost items for shale are the fracking and proppant costs. That's where the cost inflation is happening, and it's happening fast.